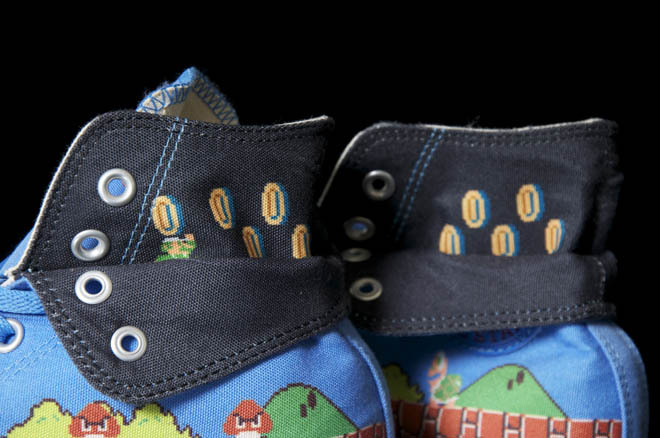 The world's most recognizable sneaker pays homage to the world's most recognizable gaming franchise. 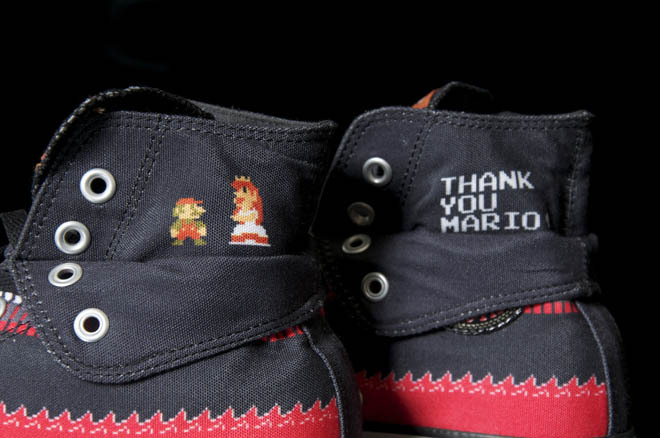 The world's most recognizable sneaker pays homage to the world's most recognizable gaming franchise. 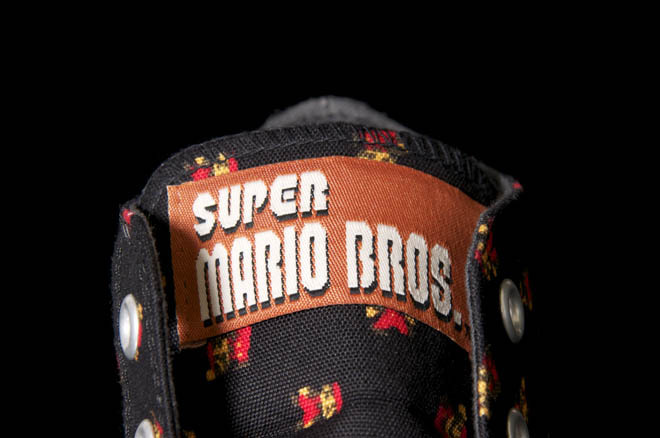 Back in 1985, designers Shigeru Miyamoto and Takashi Tezuka, along with composer Koji Kondo, changed gaming forever with the release of Super Mario Bros. 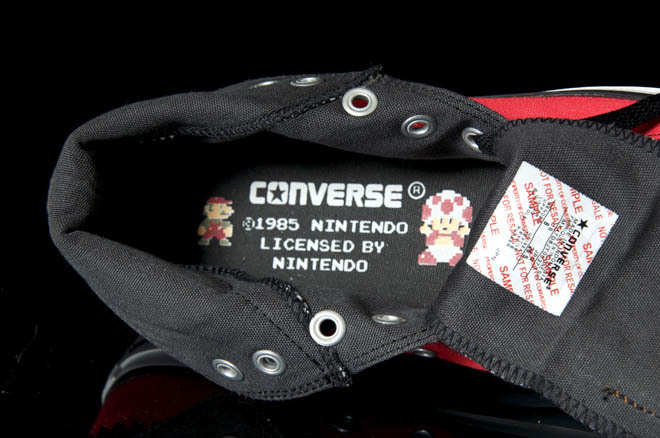 Since then, the game has sold millions upon millions of units worldwide and established Mario as one of the leading brands in multi-console gaming. 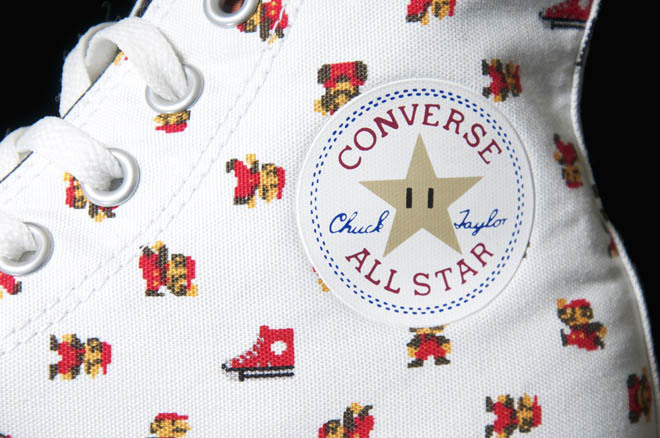 To celebrate the game's 25th Anniversary, Converse is issuing the Chuck Taylor All Star in several Mario-themed looks this summer. 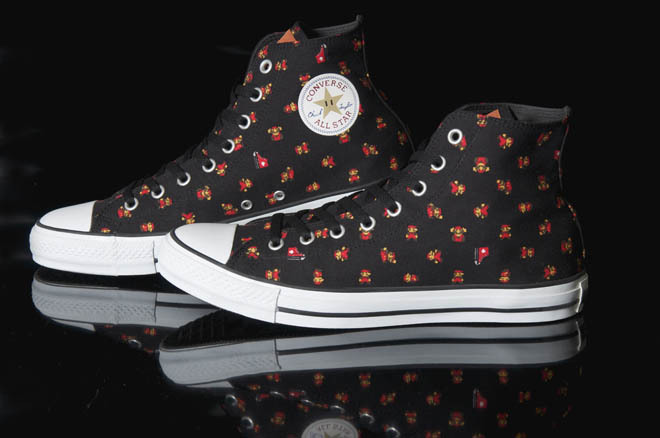 Two straight-forward pairs, done in black and white canvas, feature repeated Mario graphics throughout the upper. 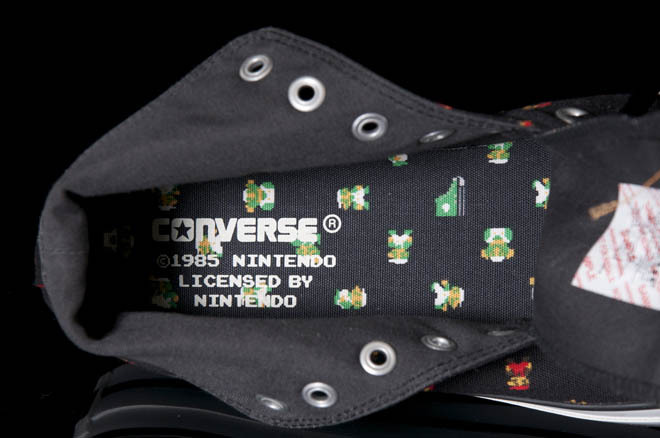 Additionally, there are two pairs with flip-down collars and actual scenes from the game designs on the sidewalls and exposed layer. 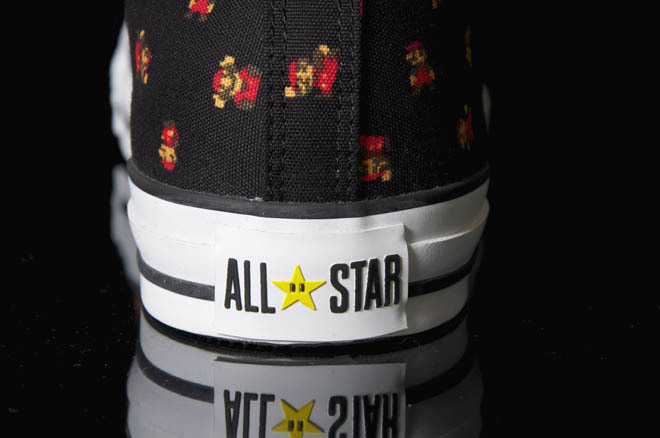 Other unique features include Super Mario Bros. tongue tags, custom footbeds, invincibility star branding and special Mario graphic packaging. 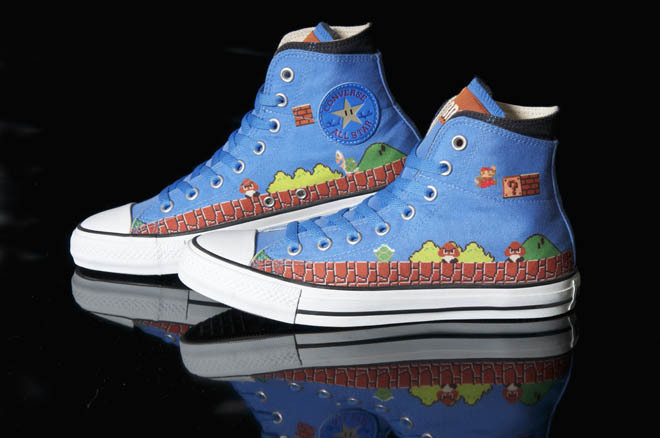 The Super Mario Bros. Chuck Taylor All Star will start to hit stores in Japan in July, while the Double Upper variation is pegged for an August drop. 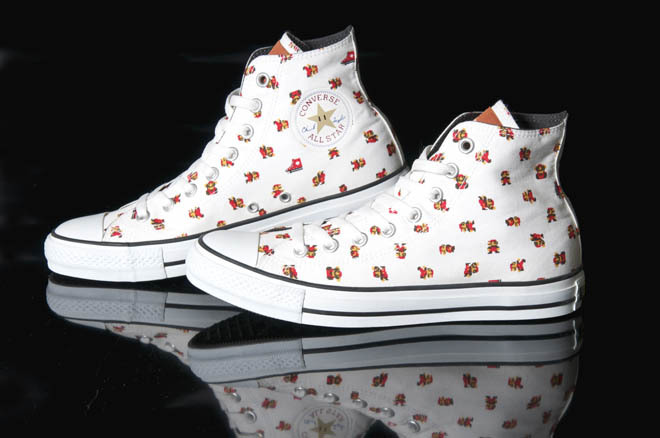 Retail is estimated between $100-$115. 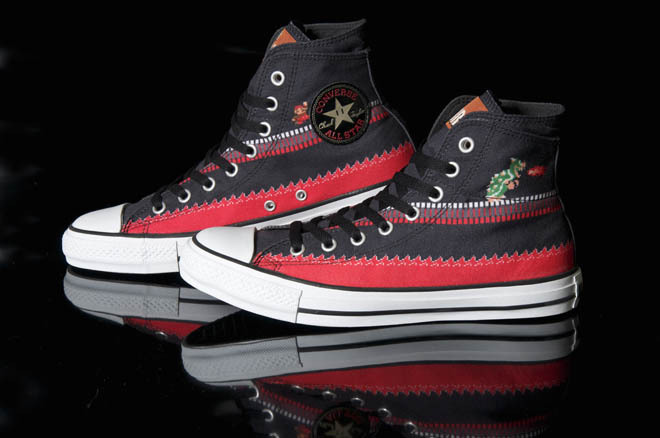 No word on when or if we can expect to see these shoes make their way stateside. 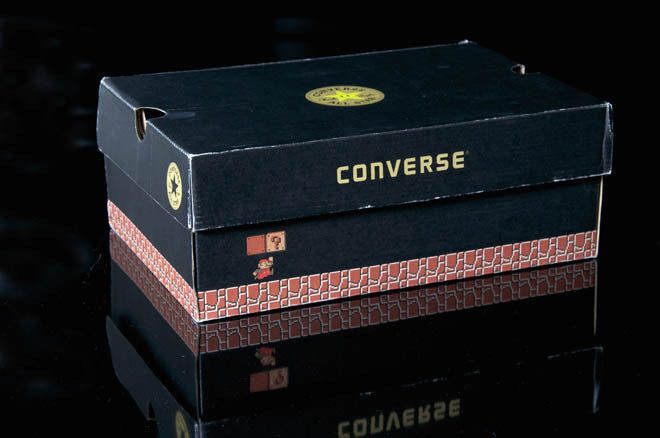 If we hear something, we'll update you here at Sole Collector.